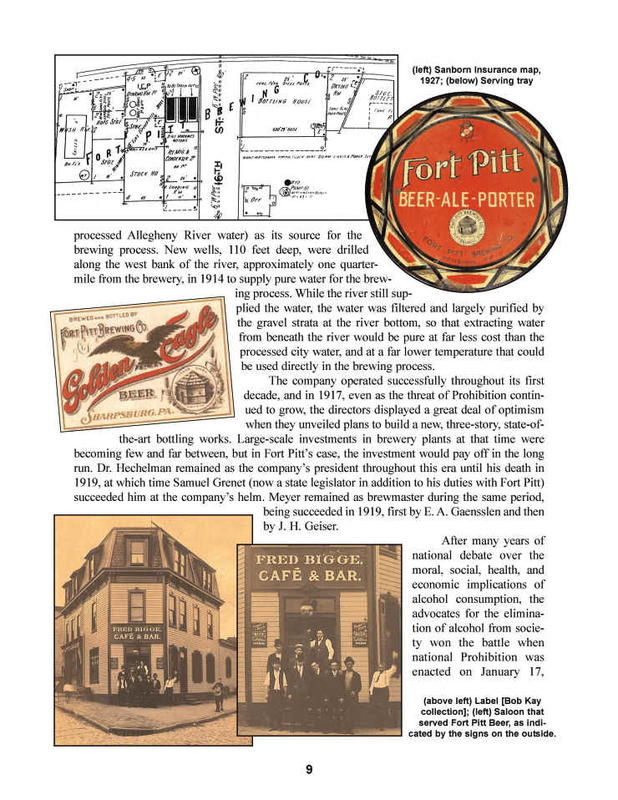 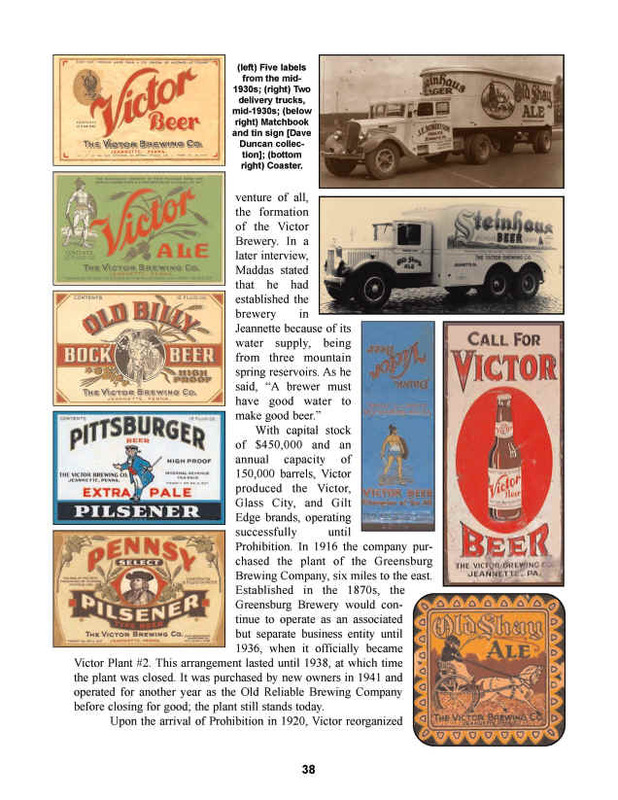 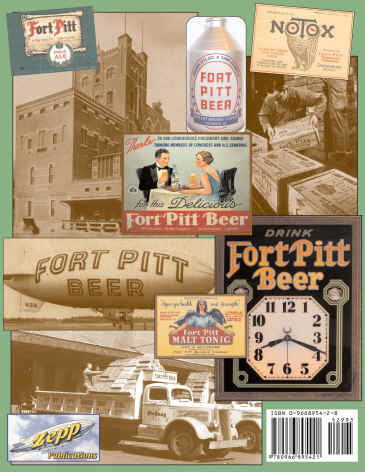 Find out about the Fort Pitt Brewing Company, which operated in the Pittsburgh suburb of Sharpsburg from 1906 to 1957, when its parent company decided to exit the brewing business and make money instead in the jukebox business! 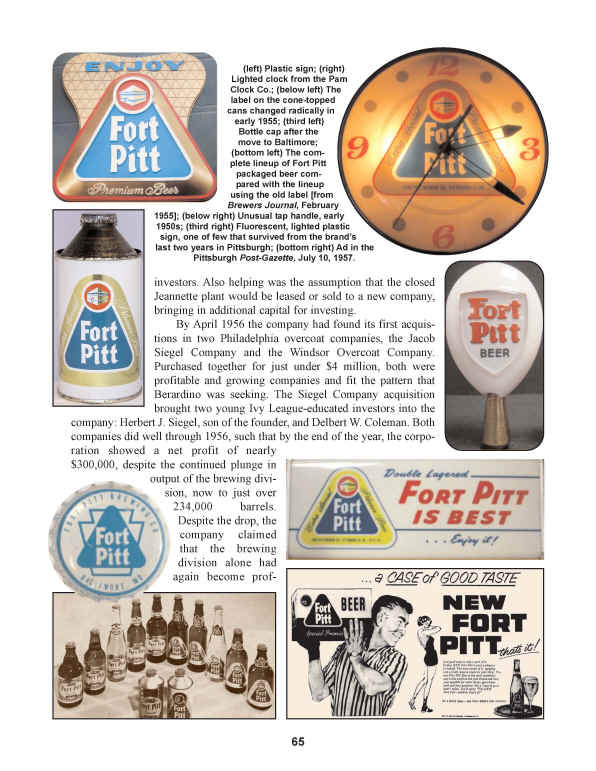 The brand continued to appear until the year 1996, made in Baltimore and then Smithton, PA. 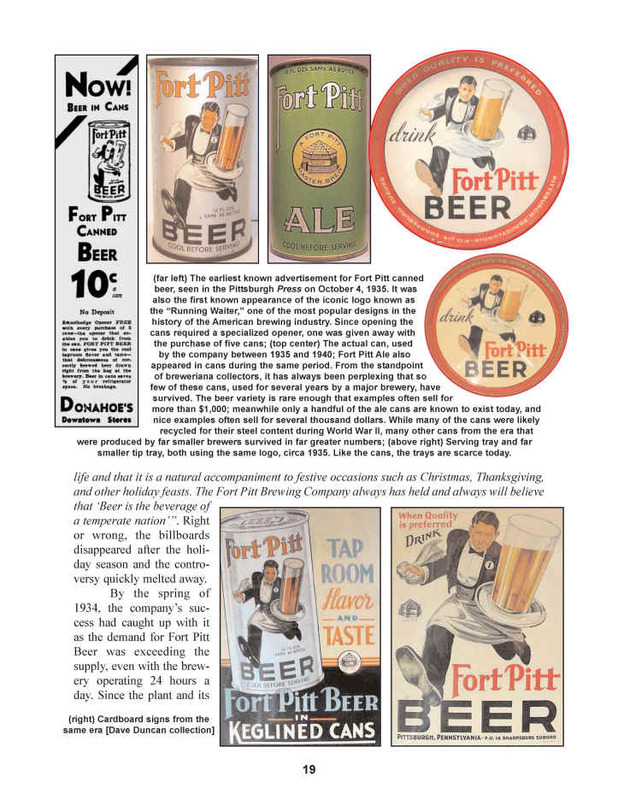 Even today the Fort Pitt brand name is remembered by beer drinkers in the Steel City, and it made a comeback in 2012, produced by the modern Duquesne Brewing Company. 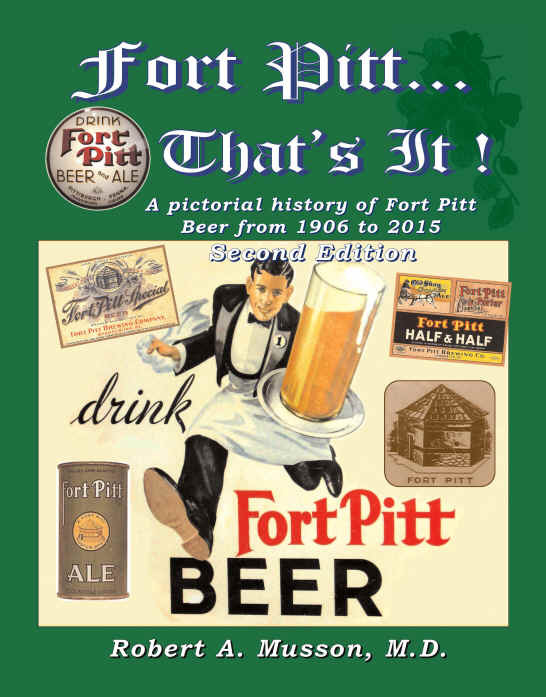 This second edition was published in 2015 and has 84 pages; it is spiral bound and has more than 560 images, mostly in color, of people, buildings, labels, signs, cans, and you name it.